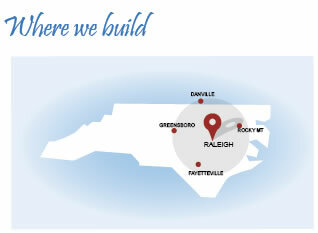 Garage Contractor in NC: Raleigh, Durham, Chapel Hill, Burlington, Cary, Greensboro, Fayetteville, garage builders. 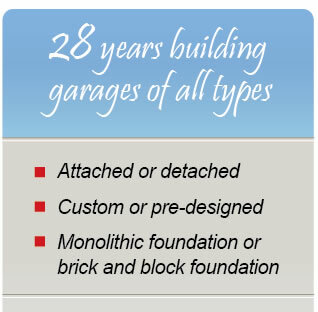 From design to finish product, we will walk you through every step of the garage building process. You can expect great service and timely delivery. We have over 25 years of garage building experience, so rest assured that no detail is too small and no problem is too big!! We have built garages in central North Carolina, in a 100 mile radius area from our Holly Spring offices, including Raleigh, Cary, Apex, Fuquay Varina, Holly Springs, Durham, Chapel Hill, Greensboro, Fayeteville, and anything in between.